Over the last week and a half the USWNT has been over in Europe training. They also participated in two international friendlies against France and England. As of today there are 110 days until the start of the 2015 FIFA Women’s World Cup. But after two less than convincing performances this week, doubts continue to rise about a team long considered a heavy favorite to win this summer’s biggest tournament. 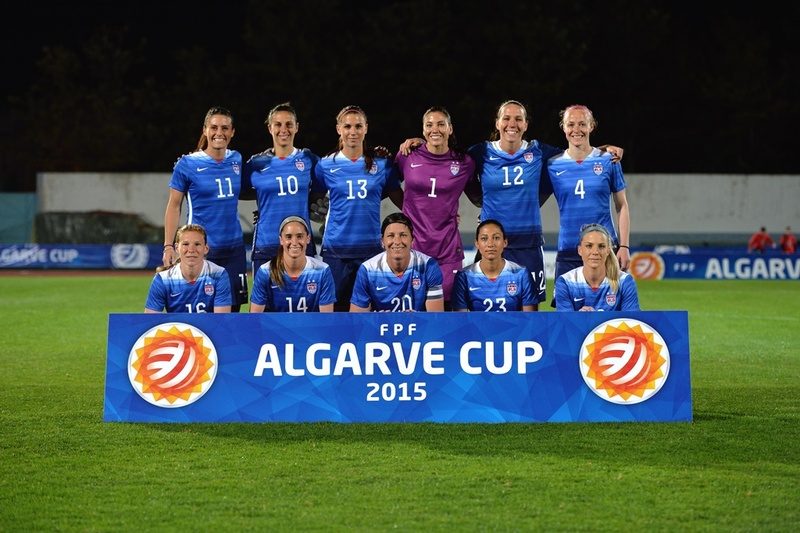 The USWNT played No.3 FIFA-ranked France last Sunday in Lorient in front of a crowd of 15,663. The team failed to put together a strong attack on offense and with some mishaps on defense went down 2-0 shortly into the second half. The France goals came within a minute of each other, as Eugenie Le Sommer headed a cross from Elodie Thomis into the left side of the goal at the 50th minute mark. Then in the 51st minute a bending cross by Jessica Houara found its way to the back netting by bouncing in off the left post. The USWNT had a few chances late in the game, but did not score. Most notably, upon entering the game Abby Wambach was awarded a penalty kick after going down in the box. She failed to convert as France goalkeeper Sarah Bouhaddi made the diving save to her right. The U.S. ended up falling 2-0 to France. Besides facing Brazil in December, France will most likely be the best team that the U.S. women face until the World Cup in June. It was a good test for them. It clearly pointed out weaknesses that they need to work on in the coming months. But still with a few less than favorable results in the past few months, the questions keep popping up about the strength of this team and whether or not they’ll be lifting a trophy by the beginning of July. Yesterday’s match against England provided a slightly better outcome, but still demonstrated that the USWNT has plenty of work to do before June. The red, white, and blue opened the scoring in the 25th minute with a header goal by Alex Morgan off a cross from Lauren Holiday. It was Morgan’s 50th of her international career. The lone goal stood to be the deciding marker of the match in what looked to be a more improved performance by the U.S. squad. England seemed to be holding back for the first half of the game. The second half saw more offensive chances for them though. In the 56th minute, England would have tied the match after a strike from Fran Kirby was knocked off the crossbar by USWNT goalkeeper Ashlyn Harris (playing for the suspended Hope Solo which is another story in itself). The rebound of the save found the feet of England’s Jodie Taylor and she placed the ball in the back of the net. However, Taylor was ruled to be offside. From there, England failed to threaten the American defense until stoppage time when U.S. defender Ali Krieger headed a dangerous cross away to solidify the win for the United States. Although improvements were made from the game against France and the United States seemed to maintain better possession and create more offensive opportunities, the score didn’t indicate such a dominant performance. And really, it wasn’t. After the Morgan goal, the USWNT looked the most comfortable they had been since going overseas. They created plenty of scoring chances in their attacking third until the end of the first half (the attack seemed to slow a bit for the final 45). The midfield looked much better than it did in the match against France. Ali Krieger, who played as a sub in the France match, started the game against England and seemed to be an added improvement in the U.S. defense. But, (and this is a big but) England isn’t France. France created so much more efficient counters on the United States. Their midfield proved to be more dominant than England (and the U.S. for that matter). Their defense handled the offensive attack that the U.S. tried to initiate. Even England’s overall size is smaller compared to France. So it makes sense that the U.S. would have performed a bit better. However, the game could have easily ended in a tie. So the outcome, even though it was a 1-0 win, could have been better for the USWNT, and is a good indication that there is still a lot of work to be done for a team that seemed destined for World Cup glory. In two weeks the USWNT will begin the Algarve Tournament in Portugal where they face off against Norway (March 4th, 2 p.m. ET), Switzerland (March 6th, 12 p.m. ET), Iceland (March 9th, 1:30 p.m. ET), and another yet to be determined opponent (March 11th, Time TBD). Following the tournament, only 4 friendlies remain until June 8th when the U.S. opens their World Cup group play against Australia. So far, this ride to the 2015 FIFA Women’s World Cup has been rocky, but I still plan on following this team every step of the way and updating on each triumph and downfall. Only time will tell what will happen in June. Will they achieve the greatness they have been searching for since 1999? I still believe. Do you? Last weekend the United States Women’s National Team (USWNT) finished up the Brasilia Tournament by advancing to the title game versus Brazil. The game ended with a 0-0 draw giving Brazil the tournament win because of the points they acquired during the group stage. I’m sure from the previous matches the outcome of the tournament wasn’t something the team was particularly hoping for. Their first match on December 10th against China PR ended in a 1-1 draw (could’ve been better). They lost their second match 2-3 against a highly ranked Brazil squad featuring five time FIFA Player of the Year, Marta (not their best effort). Finally, they finished group play with a 7-0 win against Argentina (more like it but no offense to Argentina, they were the weakest team in the tournament). With less than 6 months to go, the Women’s World Cup is quickly approaching which means preparation time is slowly dwindling. The most recent world rankings released saw the USWNT drop to the number two slot as the German Women’s National Team took over the first spot previously occcupied by the United States. As a fan, I’m not happy about that. 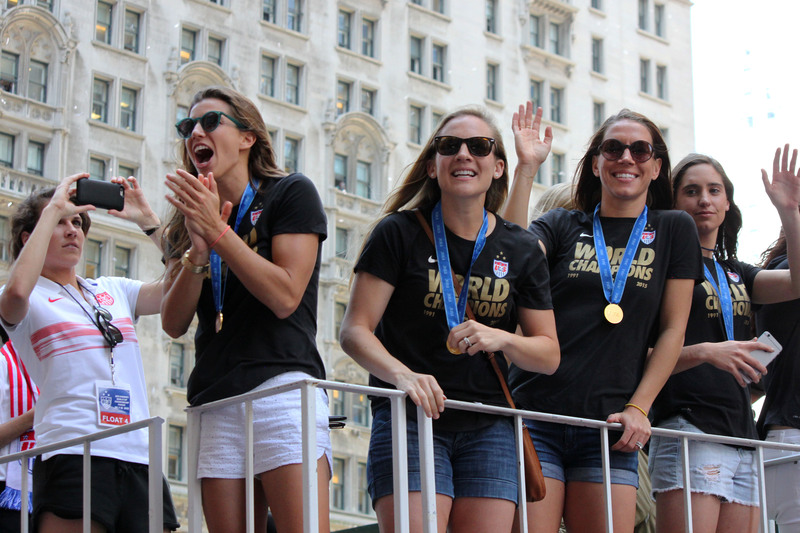 Since I’ve been following the women’s game and this team (roughly since the last world cup but more intently since the 2012 Olympics), the USWNT has been number one. To see that happen so close to the World Cup and to also see a sub-par performance in this most recent tournament makes some nerves start to set in. I want these girls to get it done this June. After watching the last World Cup end in such heartbreak with such an incredible road to the final, I just wanna see this team walk away victorious. But there’s no need to re-hash what I’ve already stated in the last post I made about this team. There’s still time and I have all the faith in the world that these ladies can get it done. In the coming months there will be camps, friendlies (two overseas in February against two highly ranked teams, France and England), the Algarve Cup, and time to put in the work to achieve World Cup glory. I’ll probably say this every time I write about these girls until the World Cup but I can’t wait for June to see what they can do. I will be updating continually until then and through the World Cup so I encourage you to stick along for the ride. Maybe it’ll make you want to watch some games and get into a sport I, myself, never thought I’d get into. I’ll say it now that the USWNT may just be the best national team this country has to offer. They make soccer, or should I say football, a beautiful game especially when they play at their best.